A MiniCell Panel Filter can be used in supply or extract air systems where there is a need for a high performance. MiniCell Panels are offered in grades M6, F7, F8 and F9 to EN779. The MiniCell Panel offers low resistance due to the high surface minipleat construction of the filter pack, which is available in both 47mm, and 97mm depths. 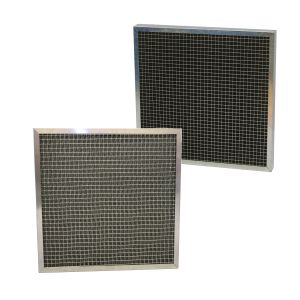 For high moisture environments this filter is available in a galvanized steel frame, rather than the standard card frame that is supplied. The MiniCell Filter pack structure is made from 100% Synthetic Media with hotmelt separators, providing a rigid and moisture resistance filter pack. 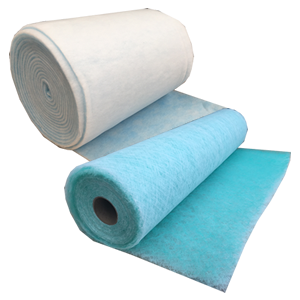 Glass Fibre filter packs are available upon request. The standard MiniCell is contained within a rigid moisture resistant cardboard lattice frame. Upon request these filters can be manufacture from a metal frame with a polyurethane seal which makes the filter suitable for damp and humid environments such as supply air from outside.